“FBI followed every move of two N.J. terror suspects for years, culminating in airport arrests,” NJ.com, June 13, 2010, http://www.nj.com/news/index.ssf/2010/06/authorities_followed_every_mov.html. The FBI began investigating Alessa and Almonte—both residents of New Jersey—in October 2006 after agents received a tip from a member of the public. The individual warned that Alessa and Almonte were accessing extremist content online, and “[kept] saying that Americans are their enemies, that everybody other than Islamic followers are their enemies, and they all must be killed.”“FBI followed every move of two N.J. terror suspects for years, culminating in airport arrests,” NJ.com, June 13, 2010, http://www.nj.com/news/index.ssf/2010/06/authorities_followed_every_mov.html. In a search of Almonte’s computer in 2007, FBI agents found content authored by Osama bin Laden and his then-deputy Ayman al-Zawahiri.“FBI followed every move of two N.J. terror suspects for years, culminating in airport arrests,” NJ.com, June 13, 2010, http://www.nj.com/news/index.ssf/2010/06/authorities_followed_every_mov.html. After uncovering that material, the FBI launched a full-force investigation on the men called “Operation Arabian Knight.”“FBI followed every move of two N.J. terror suspects for years, culminating in airport arrests,” NJ.com, June 13, 2010, http://www.nj.com/news/index.ssf/2010/06/authorities_followed_every_mov.html. Alessa and Almonte began planning their travel to Somalia while under FBI surveillance. In order to prepare for their trip, the pair saved thousands of dollars and underwent physical training including running, lifting weights, and engaging in paintball fights. They also reportedly acquired “tactical clothing, hydration systems, knives, night-vision optics,” according to the U.S. Department of Justice.“TWO NEW JERSEY MEN PLEAD GUILTY TO CONSPIRING TO KILL OVERSEAS FOR DESIGNATED FOREIGN TERRORIST ORGANIZATION AL SHABAAB,” U.S. Department of Justice, March 3, 2011. In November 2009, Alessa told an undercover FBI agent that he wanted to be “the world’s known terrorist,” and that “a lot of people need to get killed…..” He further revealed that he wanted to “get an assault rifle and just kill anyone that even looks at me the wrong way, bro. My soul cannot rest until I shed blood.”“FBI followed every move of two N.J. terror suspects for years, culminating in airport arrests,” NJ.com, June 13, 2010, http://www.nj.com/news/index.ssf/2010/06/authorities_followed_every_mov.html. During this time, Alessa and Almonte acquired, watched, and disseminated extremist content including audio and video materials produced by al-Qaeda, al-Shabab, and other terrorist groups. Both men reportedly viewed and listened to audio lectures and videos of al-Qaeda in the Arabian Peninsula (AQAP) cleric Anwar al-Awlaki, who was killed in a targeted U.S. drone strike in Yemen in 2011. The men reportedly shared Awlaki’s videos with an undercover FBI agent.William K. Rashbaum “Two Arrested at Kennedy Airport on Terror Charges,” New York Times, June 6, 2010, http://www.nytimes.com/2010/06/07/nyregion/07terror.html?src=mv. The pair is also believed to have supported Revolution Muslim, a group and website founded by U.S. extremist Jesse Morton. Morton was interviewed by investigators from the New York City police on the day after Alessa and Almonte’s arrest in June 2010, according to court documents.“Statement of Facts: United States of America v. Jesse Curtis Morton, defendant,” U.S. District Court for the Eastern District of Virginia, 19. Morton pled guilty in February 2012 to conspiring to solicit murder and using the Internet “to place others in fear.”“Leader of Revolution Muslim Pleads Guilty to Using Internet to Solicit Murder and Encourage Violent Extremism,” FBI, February 9, 2012, https://archives.fbi.gov/archives/washingtondc/press-releases/2012/leader-of-revolution-muslim-pleads-guilty-to-using-internet-to-solicit-murder-and-encourage-violent-extremism. In March 2013, both men pled guilty to conspiring to murder persons outside the United States on behalf of designated Foreign Terrorist Organization al-Shabab.“TWO NEW JERSEY MEN PLEAD GUILTY TO CONSPIRING TO KILL OVERSEAS FOR DESIGNATED FOREIGN TERRORIST ORGANIZATION AL SHABAAB,” U.S. Department of Justice, March 3, 2011. Alessa was sentenced to 22 years in prison in April 2013.“Two New Jersey Men Sentenced To Decades In Prison For Conspiring To Kill Overseas With Designated Foreign Terrorist Organization Al Shabaab,” U.S. Department of Justice, April 15, 2013, https://www.justice.gov/usao-nj/pr/two-new-jersey-men-sentenced-decades-prison-conspiring-kill-overseas-designated-foreign. “A lot of people need to get killed, bro. Swear to God. I have to get an assault rifle and just kill anyone that even looks at me the wrong way, bro. My soul cannot rest until I shed blood. I wanna, like, be the world’s known terrorist. 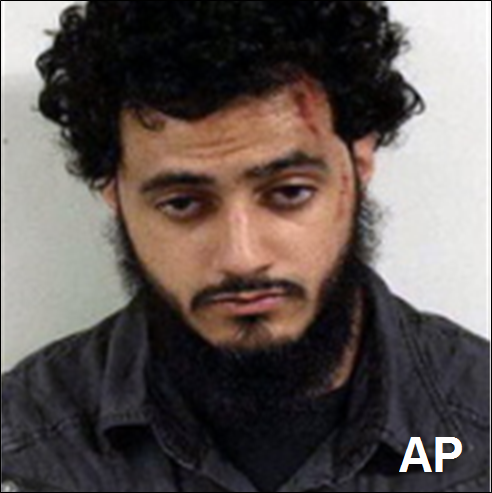 I swear to God.”“FBI followed every move of two N.J. terror suspects for years, culminating in airport arrests,” NJ.com, June 13, 2010, http://www.nj.com/news/index.ssf/2010/06/authorities_followed_every_mov.html.